Kendal Cordials was established in April 2009 when we started to produce an elderflower cordial, following a recipe of Helen's parents, using locally sourced elderflower. Soon afterwards we developed our own ginger cordial, using fresh root ginger and a splash of lemon. We now produce a range of delicious cordials from a small unit at our home in Kirkby Lonsdale. 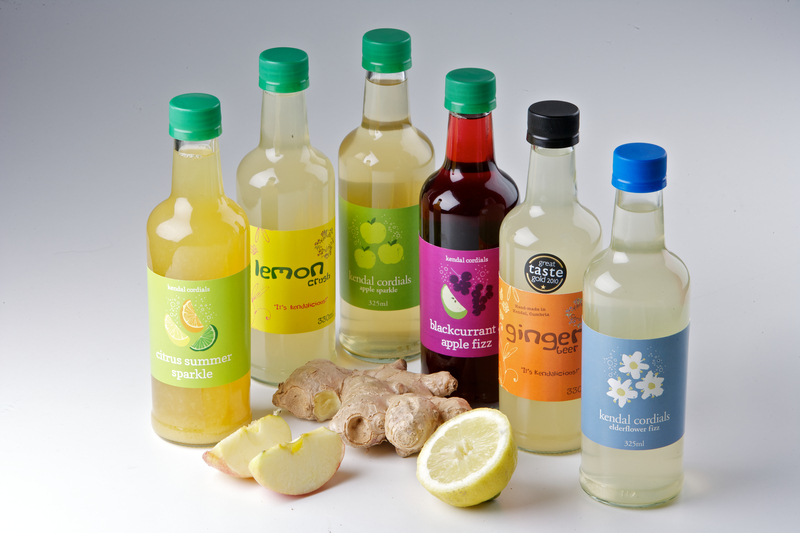 We supply a number of local artisan food retailers and cafes with cordials and also our ready-to-drink range. We pride ourselves in making delicious drinks that contain no artificial preservatives, sweeteners or stabilisers.